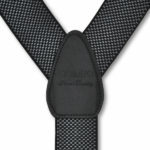 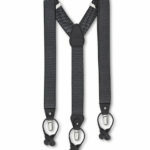 Stretch cotton suspenders with small white pattern against black background. 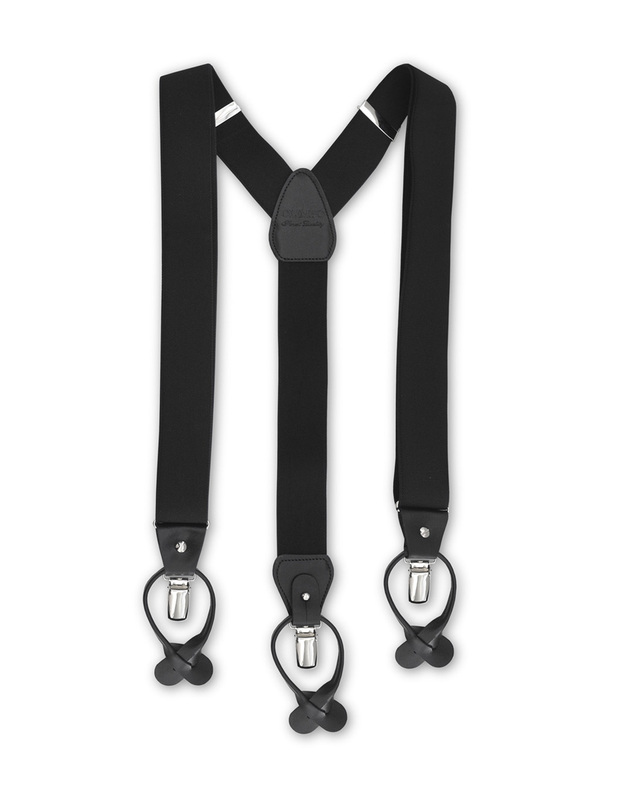 Black cowhide leather ends. 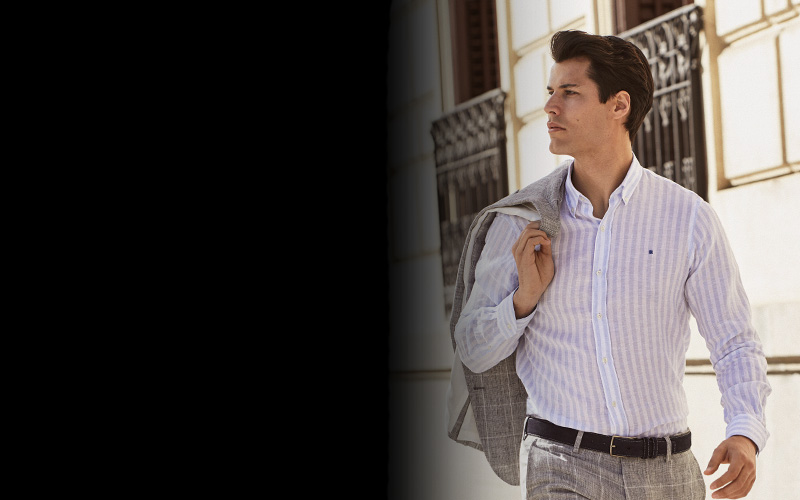 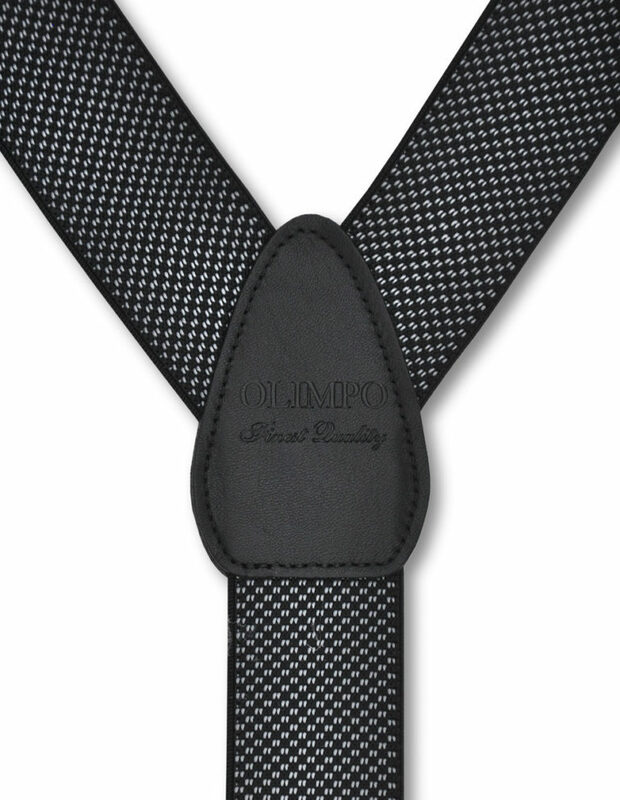 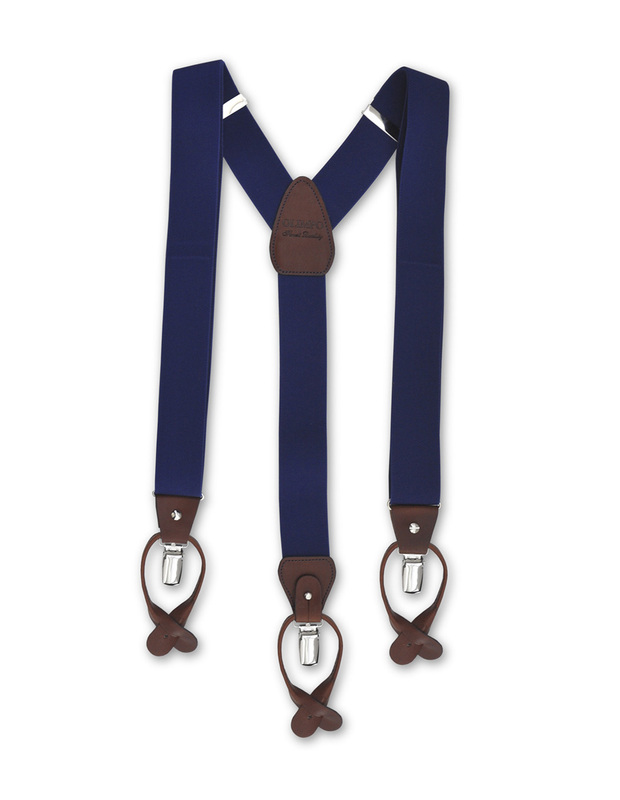 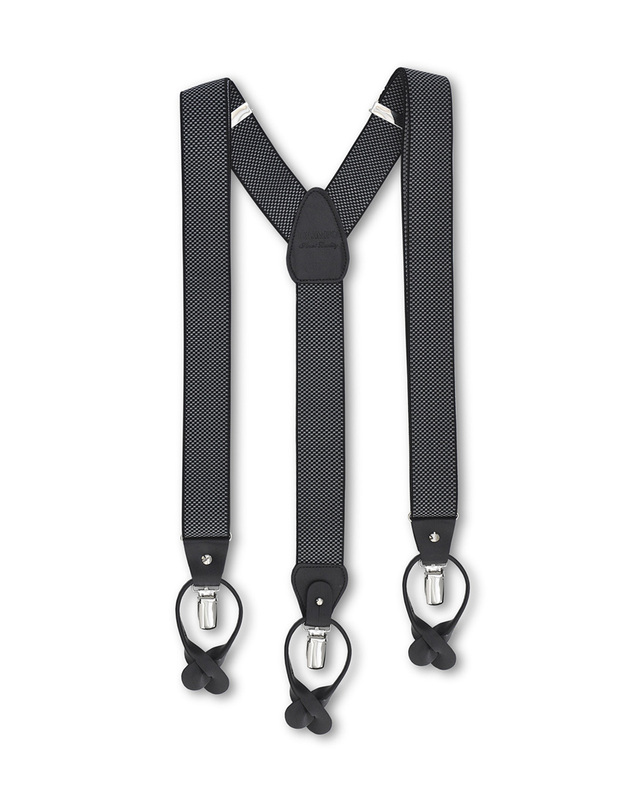 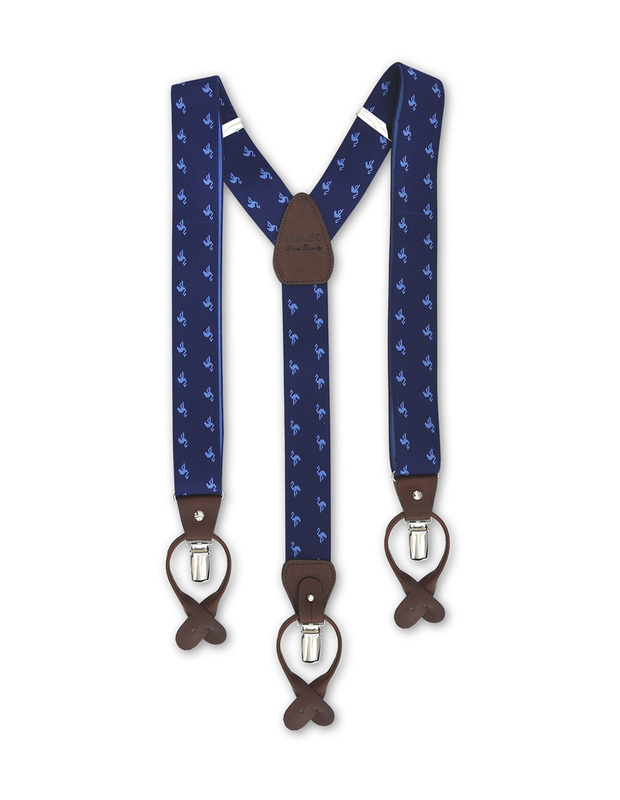 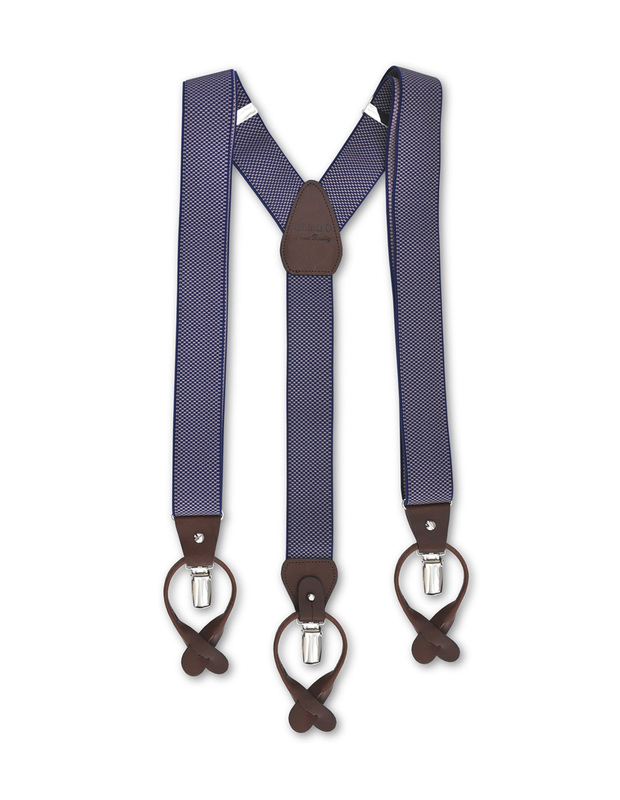 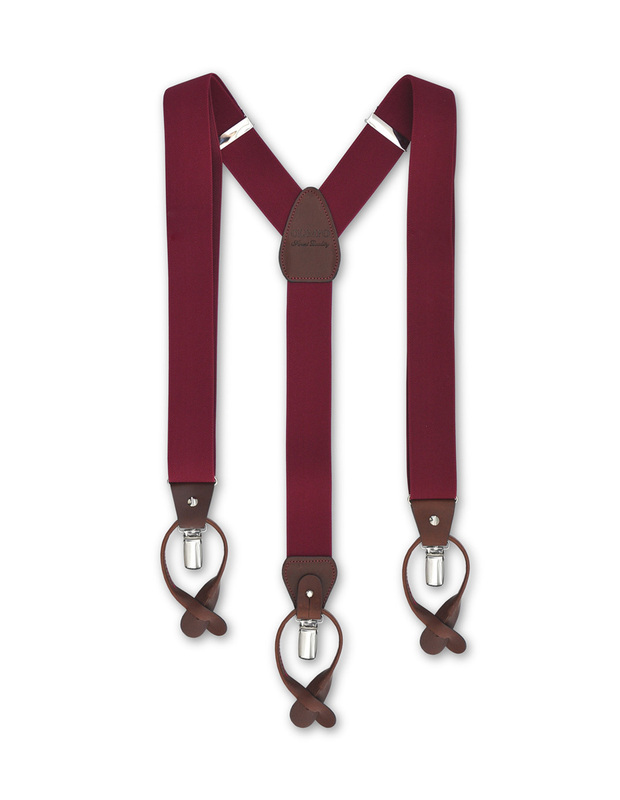 These elegant two-toned suspenders will add a touch of class to your formal attire.